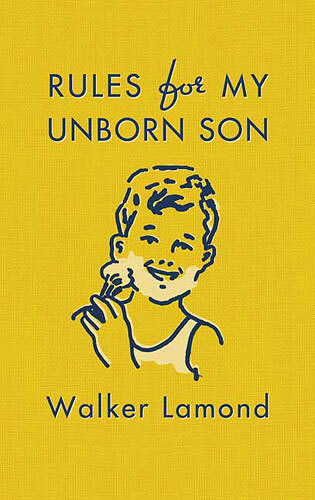 “Rules for my Unborn Son” is a simple distillation of thoughts to be a ‘good man’ some of which you’ll agree with, others which could merit a ‘meh,’ (submit a rule on the blog) but with media’s portrayals of males as of late, we can use all the guidance we can get. A compilation of tidbits and random musings that average about two sentences a page, it’s more gift than book, but that’s part of its beauty, the sheer simplicity of thought. That last line really resonates with me, as I watch K-12 kids grapple with ethics and etiquette amidst a crass culture of ‘anything goes,’ often being rewarded for negative behavior in ‘more outrageous the better’ mode. …NOT in a school-marmish-censorship way, but in a child advocacy, let these kids grow up with a modicum of what it means to be a gentleman pragmatic way! So here are a few I pulled from Walker Lamond’s old-fashioned resurrection of some old-school sentiments celebrated with new world relevance…Enjoy! And don’t forget to leave a comment with YOUR ‘rules’ (in media, home, interpersonal relationships, whatever) to try to snag the book for yourself! Don’t stare directly into a dog’s eyes. Memorize the Bill of Rights and your favorite poem. Never side against your brother in a fight. Never under any circumstances ask a woman if she is pregnant. Don’t be so eager to leave the kid’s table. Know the difference between arts and crafts. Never go out of your way to be on TV. When it comes to opening presents, no one likes a good guesser. Finish what you start, especially books. Fish don’t have eyelids, cast in the shade. Learn to pronounce French words correctly. That last one (Bucky’s best!) is on my wall to remind myself of Shaping Youth’s nonprofit mission to literally flip the message and use the power of media for positive change. 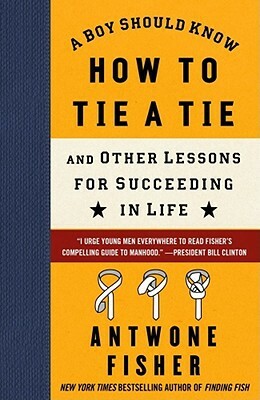 Part triumphant emergence over foster care foul-ups (a la Josh Shipp, a youth advice slinger with a story to tell) and part pragmatic life lessons for both dads and grads, I’ll be posting on Antwone Fisher’s book soon and recycling it via giveaway as well. Happy Father’s Day male mentors, papas, stepdads, uncles, cousins, brothers and gentlemanly sorts. Shaping Youth Asks: Who’s Your Favorite Fictional Male Role Model & Why? Father’s Day for $5, When Kids Want to Use Their Own Money!